1.6. A contract shall not be formed until either a deposit or full payment and completed Registration Form has been received and accepted with a confirmation email. 2.3. Prices exclude: alcoholic drinks, flights, travel insurance and other activities not listed as part of the Retreat Schedule. 3.5. 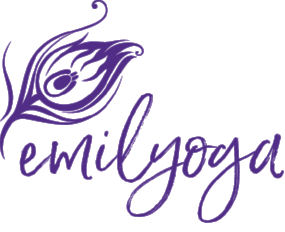 In the rare event that Emilyoga should need to cancel the retreat, deposits and fees paid in full will be refunded but we will not be liable for other costs you incur / have incurred (see Liability). In this instance, you will be notified of cancellation as early as possible. Please allow up to 14 days for this to take place and funds to clear. Alternatively, deposits and fees paid in full can be secured against another retreat of your choice (with any difference being paid by you if it is more expensive or a refund/discount if you choose a cheaper retreat). 4.2.7. delays or failures on the behalf of the venue or venue owners or organisers. 4.3. Emilyoga has an unconditional discretion to respond to such events without forfeiting any relief under this clause 4. 5.3.6. costs associated with issues, delays, cancellations or changes to your transportation (e.g. luggage, flights) or your failure to get to the destination country for whatever reason. 5.4. You agree to indemnify Emilyoga against costs incurred or liability resulting from any damage caused to persons or property resulting from your actions during the retreat. 6.2. We recommend that you purchase your own travel insurance including trip cancellation insurance in order that your travel costs will be covered should you or your family have a medical problem prior to your trip or while on the trip. Travel insurance should have adequate medical cover in the event you have an accident while on the retreat. Please purchase travel insurance within 14 days of making your reservation. 7.1. These Terms and Conditions are governed by English Law and subject to the exclusive jurisdiction of the courts of England and Wales. 8.1. If any term or provision in this agreement shall in whole or in part be held to any extent to be illegal or unenforceable under any enactment or rule of law that term or provision or part shall to that extent be deemed not to form part of this agreement and the enforceability of the remainder of this agreement shall not be affected. 9.1. These Terms and Conditions and the relevant Retreat Schedule to it shall constitute the entire agreement and understanding between the parties with respect to all matters which are referred to and shall supersede any previous agreement(s) between the parties in relation to the matters referred to in these Terms and Conditions and the relevant Retreat Schedule / Retreat. 10.4. Pregnancy: Unless you have been a regular yoga practitioner for several years it is not advisable to practice yoga during the first trimester. Please consult a qualified medical practitioner if you have any doubts or concerns about undertaking yoga when pregnant. 11.1. Instructors may occasionally touch you in order to adjust your posture during the retreat. If you do not wish for this to happen, please withdraw your consent by making it known to the instructor leading the class prior to the class commencing. 13.2. Feel free to email us at a convenient time for you and we will do our best to respond as quickly as possible. We will listen to you and put matters right if we can. • Relevant correspondence / evidence of the issue or complaint. We will aim to give you an initial response within 7 days and a full reply if matters are not resolved within 14 days. We will work with you to try and resolve your complaint as best as we can.